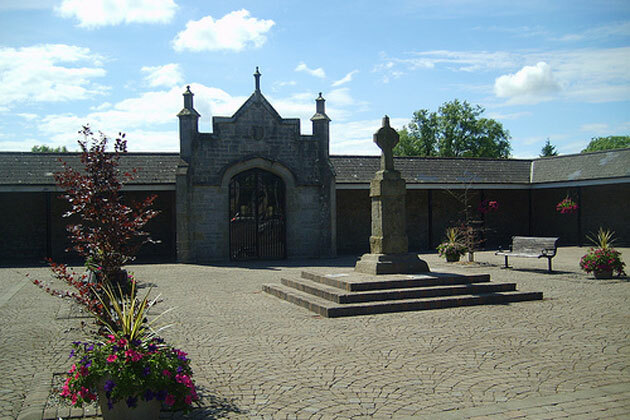 Lisnaskea is the second town of the county of Fermanagh in Northern Ireland with a population of 2,500, and is known as the gateway to the upper lakes. The corn market in the centre of the town there is a Celtic Cross erected in 1841, and the town motto ‘Live and Let Live’ is carved into the central pediment. Tradition has it that the ‘Barter Stone’, also in this location, was a place where deals were made and oaths were sworn. 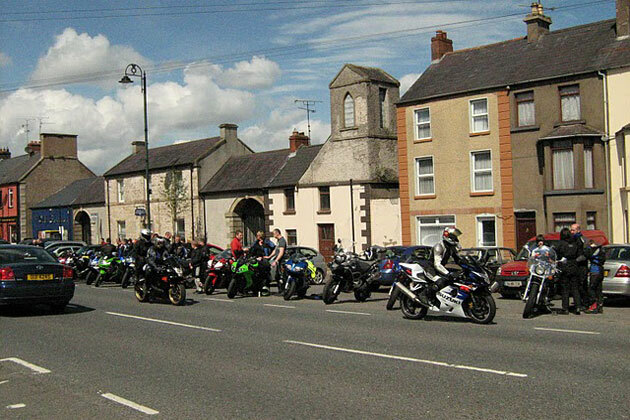 There are many fine pubs and restaurants in Lisnaskea, as well as some interesting buildings, activity centres and a wildlife sanctuary. The Gaelic name for Lisnaskea is ‘lios na sceithe’, which translates to ‘Ringfort of the Shield’, and the original settlement can be traced back to the second century AD, and is predated by a four thousand year old burial site high above the town known as ‘The Moate’. This burial site was also used from the thirteenth century as a location for the crowning of Kings. There is a monastery to the south of the town which is associated with St. Ronan, who died sometime before 635AD, with some interesting vaults and tombstones to be seen in the adjoining graveyard. Also of interest is the Medieval road, which once linked the city of Derry to Dublin. 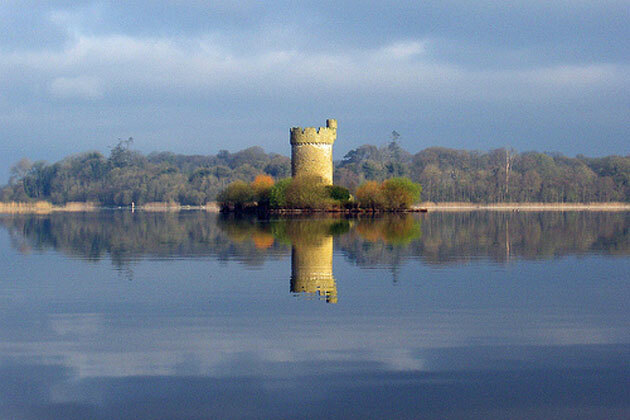 The strategic location of the town led to many changes in leadership, from Sir James Balfour during the plantation in 1615 to the Earls of Erne in 1821. Many of the fine ston buildings in the town were erected by the Ernes, and were transferred to the stewardship of the Fairs and Markets Committee in 1919. 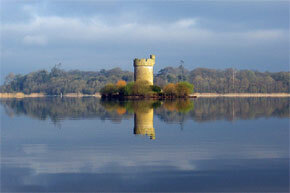 The River Erne is located three miles southwest of the town, and provides good fishing from the bridges or the shore. The Ballindarragh River is one mile northwest of the town, and is recognised as one of the best fishing rivers in the area. There are Mountain lakes Northeast and East of the town, which are renowned for their trout and coarse fishing. The Corn Market in the center of the town there is a Celtic cross where merchants clinched deals and lovers swore oaths of everlasting love and loyalty. The town motto ‘Live and Let Live’ is carved into the central pediment. Castle Balfour is of great historical significance. 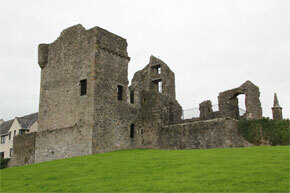 Built in 1614, the castle featured prominently in the 1641 rebellion and was inhabited up to the late 19th century, when it caught fire and partially collapsed. The castle is currently undergoing major restoration to restore it to it’s former glory as a focal point for the town.